Marquise-cut stones are set in a solid gold band. The Memorable Marquise ring measures about 6mm at the top center. 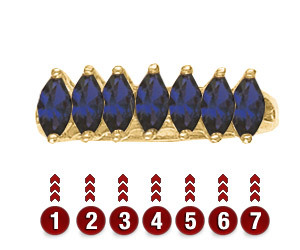 This ring accepts 2-7 stones that are 5mm x 2.5mm. This item ships to the United States and Canada.